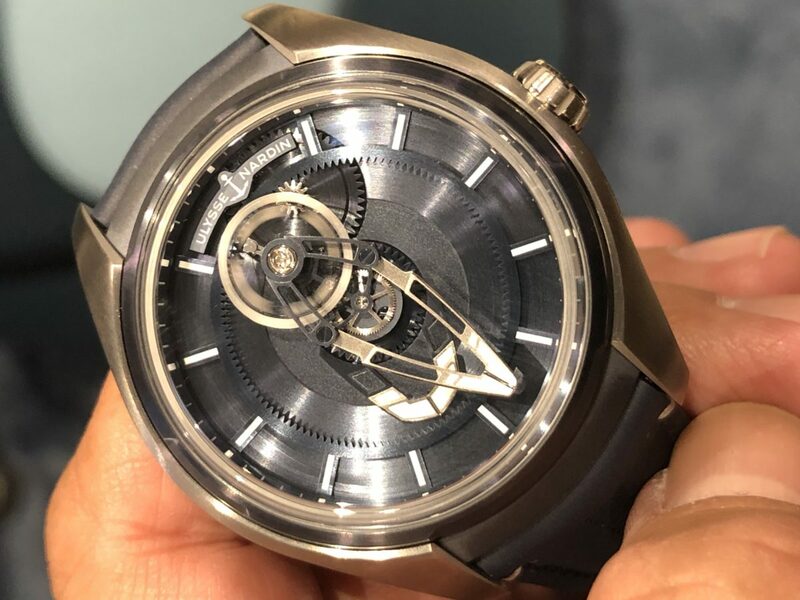 Highlights from Ulysse Nardin. The theme this year is X. We start with the Freak X. New movement. No dial. No hands. Hours and mins indicated by the now familiar flying carousel. Four references Ti (blue and black) CHF 21,000. Gold CHF 30,000 and Carbonium CHF 24,000. And a non-tourbillon version at entry level: Skeleton X. Open worked dial. 42mm. New movement. Also four references in Ti (two versions. One black one blue) Gold and Carbonium. Price range from CHF 17,500 to CHF 29,000.